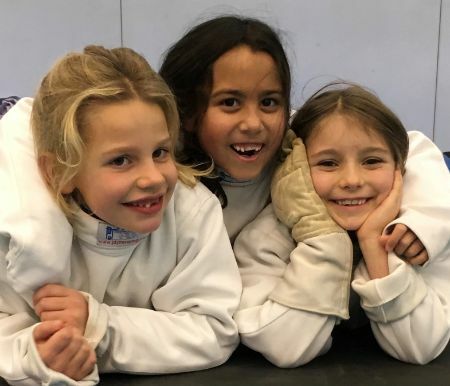 All out B team – Kit B, Phoebe D, Merryn C and Ellie S – were on the piste for the first time. I’m pleased to say all scored at least one hit and all showed great spirit and enthusiasm. WE perhaps didn’t attack with quite as much commitment and aggression as Gad’s Hill did, but we held our own well. 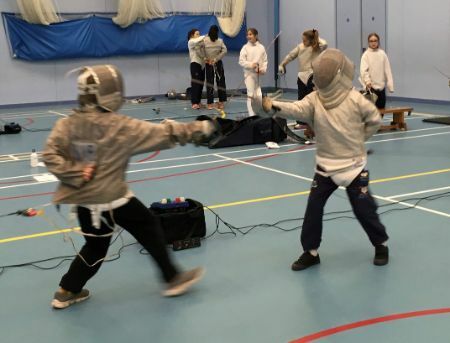 Phoebe managed to catch her opponent in her parries and then riposte, Ellie attacked well and with vigour, Kit stormed forward and lunged beautifully and Merryn pushed her opponents back with her relentless attacks. 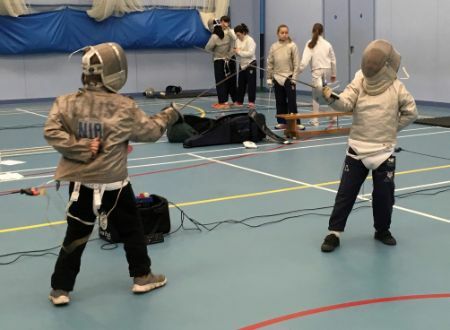 Depsite Merryn gaining 10 points in one extraordinary fight, we lost 35-45. 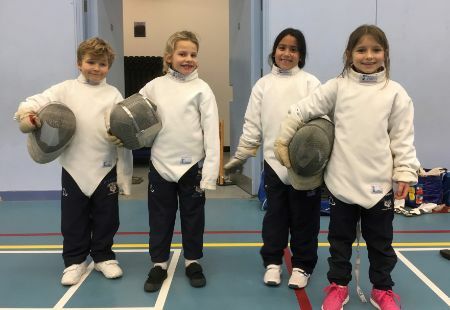 The second match against the junior A team of Gad’s Hill didn’t go quite so well, but once again all scored and left their mark on the opponent. Kit had a fantastic run of 9 hits, but the rest, with a 21-45 loss, was silence.